Battlefield 1's 'They Shall Not Pass' DLC is expected to feature a new Behemoth and it sounds insane! In December, Dice teased their first DLC Map Pack coming to Battlefield 1, They Shall Not Pass by posting concept art images and small details over on their website. 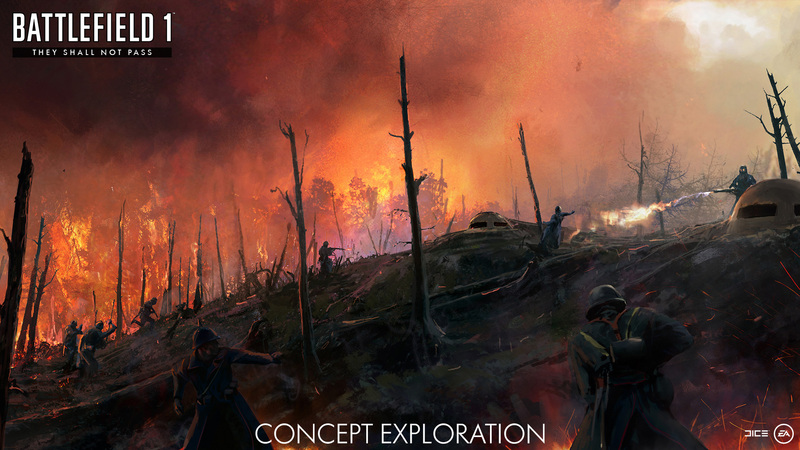 The 'They Shall Not Pass' expansion will be focusing on the role of the French Army, and will add 4 brand-new multiplayer maps and over 20 new weapons to the game. One of the more interesting teases that fans have picked up on from the Battlefield 1 website, is the hint of possibly a new Behemoth coming to the game. For the description of one of the maps, which will be based on the Battle of Soissons, one small phrase saying "something big lurks around the village of Fismes" has got the Battlefield 1 community talking. The Battle of Soissons seen some of the biggest tank assaults in World War 1 and it seems that Dice wants to captivate the fierce tank battles with this particular map. YouTuber, Flakfire, speculates that the phrase indicates that a new Behemoth, called the K-Wagen is on the way. 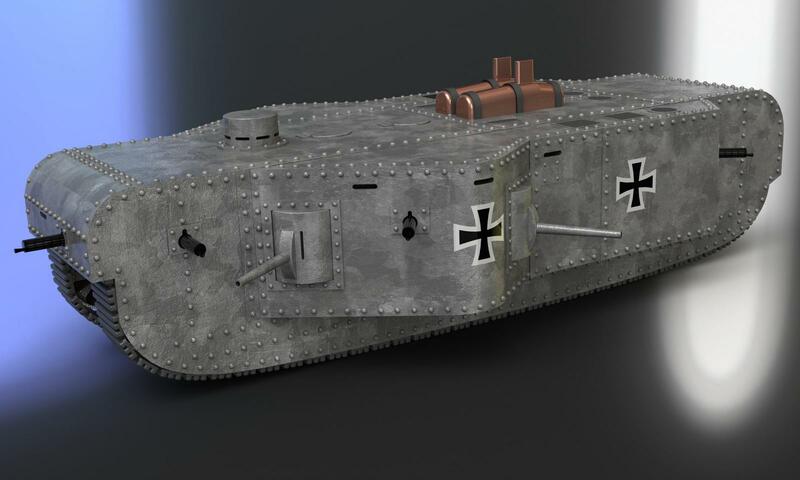 The K-Wagen tank never actually seen battle in World War 1, but just like a lot of vehicles and weapons in Battlefield 1, that doesn't mean it won't come to the game. The K-Wagen was truly a monster of a tank, that weighed a massive 120 tons and was 13 meters long. More impressingly, the tank required a crew of 27 in order to operate it and it featured 4 massive 77mm guns as well as 7 heavy machine guns, which Flakfire claims fits the description of a Behemoth perfectly. Fans have also jumped on board with the idea, saying that the K-Wagen Behemoth sounds plausible as it will be a massive slow-moving tank that will likely have to stay on the outskirts of the map because of its large size. Tank assaults were common during the Battle of Soissons and the map in which the K-Wagen Behemoth will be featured, will also likely feature more than the standard 1-2 tanks we see on most Battlefield 1 maps. 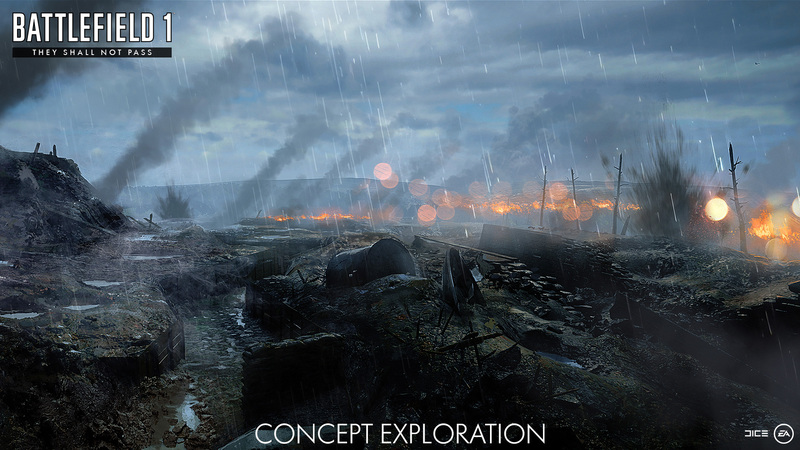 In addition to the possibility of a new Battlefield 1 Behemoth, Dice has also heard fan requests loud and clear by hinting that true trench warfare will be coming to this Battlefield 1 expansion. They Shall Not Pass is certainly shaping up to be a great DLC expansion and we hope it sets the tone for Battlefield 1's DLC moving forward. Let us know down below what you think of the new Battlefield 1 Behemoth.